At SoAmpli, we’ve been passionate about social media and how it can power business growth since it took its first baby steps at the beginning of the millennium. Not only have these networks revolutionised the way we communicate with people we know, but they have also created new ways to connect with people that share the same interests as us. The latter is what has happened with social selling expert Wendy Van Gilst. We started following each other on Twitter, and soon we were engaging in similar conversations. 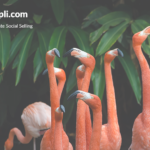 On her blog, wendyvangilst.com, Wendy shares her own experience and top tips as a social media and social selling professional. Currently working as Global Social Media Marketing lead at Sage* in Dublin, she has established a social selling group on LinkedIn with almost 900 members to discuss top online lead generation strategies as well as all the challenges that we face every day as social selling practitioners and trainers. Q: You and social selling, how did it all start? A few years ago, I was managing a couple of clothing shops. It was the early days of social media, when nobody was really sure how to approach it, but I soon realised that this new kind of communication could actually help us get more visitors to the shops. After that, I had a chance to move to Dublin and join a multinational B2B software company in a business development role. From day one, I really liked working in the B2B industry, but I found traditional cold calling really hard. As I was looking for a way to make my job a little bit easier, I started using LinkedIn and Twitter to reach out to people. Using my previous experience in social media, starting conversations and scheduling calls became a lot easier. At the time I had no idea that what I was doing was called “social selling”, it was simply helping me hit my targets! I started sharing my experience with other colleagues in workshops, thinking that if I could do it, there was no reason why my colleagues couldn’t succeed at it as well! Following this, I was asked to join the social listening team, and that’s when I took on the responsibility of scaling social selling within the company. That was three years ago, and nobody at the time had an idea of how to build a proper social selling plan. We all knew it could work, but we didn’t know what to do or how to get the best results out of it. That’s what made it such an interesting and rewarding experience. Q: What were the main challenges you identified when going from working as an individual social seller to organising a programme for hundreds of salespeople? The biggest challenge is that everybody has different needs. For instance, I like to write, so for me to add a few extra lines when I share a post is really easy, but I know it’s not the same for everyone. Other people may find it hard to start a conversation on social media, for example. So the biggest challenge is to make a programme that works for everybody. 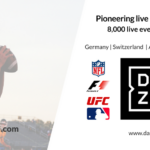 On the other hand, a lot of people are wondering how you can measure social selling success both on an individual and on a global level. Businesses are trying to measure and showcase the ROI of the money they spend on training and tools. As we become able to track more of a company’s social selling activities, we will get to a point where social selling is as normal as picking up the phone and nobody has ever asked me what is the ROI of having a phone! Q: In order for social selling to work, salespeople need to have an understanding of what their personal brand is and how they can take care of it. What’s the best way of doing that? It doesn’t matter if you’re in sales, customer success, marketing or HR; I firmly believe taking care of your personal brand can really help you achieve your career goals. Also, a lot of companies forget that the sales organisation isn’t the only one that represents the face of the company these days. When someone searches for your company, they can easily find an employee that doesn’t work in sales but they are still representing the brand. We need to remember that we all show up in people’s searches, which is very important for companies to be aware of. Q: What would your advice be for someone who wants to start utilising social media for selling? The first thing you need to do is to google yourself to see what profiles come up when people search for you. When you know this, make sure you’re happy with these profiles. Do you have a professional picture on them? Is your job information up to date? Once you have all the basics in place, it’s about building a network that has value to you. I don’t believe in big numbers just for the sake of having a lot of followers, what I think is really valuable is having a network full of relevant people. You can’t take from your network if you never give. Also, it’s important to remember that you can’t take from your network if you never give. The content you’re sharing needs to be relevant to your connections. For example, if you only talk about yourself or you just share content promoting your business’s products and services, the chances of people being interested in talking to you on the phone or sharing your posts are a lot lower! *Views expressed in this interview are Wendy’s own, not reflective of Sage. 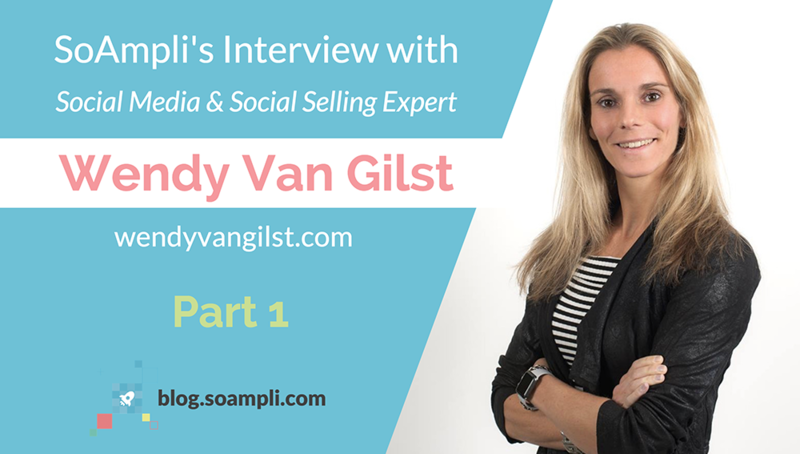 Don’t miss the second part of our exclusive interview with Wendy Van Gilst, where we discuss best practices to enable sales teams on social media for lead generation!